Very reliable company. Come highly recommended. Our Family Business Built and Maintained on Reputation and Trust. Our Upvc cleaning service is second to none – with Homes covered with dirt/cobwebs/carbon soot and algae. 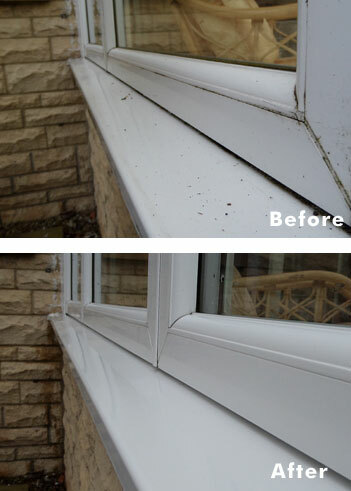 Ignoring the dirt on your Upvc and your home will quickly lose its Sparkle! We come and work for 4 – 6 hours on the exterior of your home or business returning it to its former glory. We restore/clean glass, windows frames, canopies, lamps, conservatories incl. roofs, doors, garage doors, door handles, gates, roofline- guttering, downpipes and waste pipes – fascia, soffits, cladding………..
We make your PLASTIC LOOK FANTASTIC……………..
We clean with a Difference………….We don’t ‘blanket spray’ your Upvc – we clean/restore by hand to the smallest detail – taking time to carry out a professional job – that’s why our customers rate us so highly…………..
Be Careful what is used to clean the uPVC/plastics on your home/business…cleans/restores carried out using the wrong chemicals degrade the plasticiser (hard shell) with each clean/restore – do not be fooled BY cheap prices and quick jobs – you usually get what you pay for……….. Considering spending thousands replacing your old uPVC windows and doors….speak with us first…….we may save you a lot of money and upheaval by having your existing Upvc Restored Instead – + once restored we even give you a guarantee. Even if your Upvc is 10,15 or 20 years old we can still help you and Restore it – all restores are carried out by hand using a safe method, it is time consuming but well worth the cost, time and effort to bring your uPVC back to its former glory rejuvenating your home again. 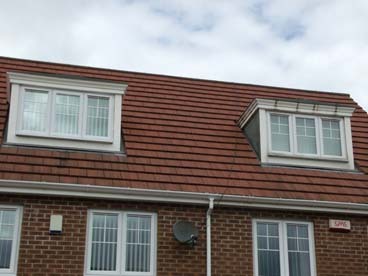 Up A Height provide a patio cleaning, patio cleaning, carpet cleaning, uPVC cleaning and restoration service, driveway cleaning, internal cleaning at height, gutter inspection and cleaning all over the Newcastle, Gateshead, Sunderland, Durham, Blyth, Morpeth, Houghton le Spring, Chester le Street, Ashington and Seaham areas.